Fitbit Coach is the new name for Fitstar, so it’s not a new app as such but it is worth highlighting. Packed full of workouts and exercise plans, Fitbit Coach has a wide range of content with things suited for most abilities, most of which doesn’t require a gym membership. There are dozens of bodyweight workouts, plus guided walks and runs and at the time of writing 24 different treadmill workouts, each of which has a duration and an estimated calorie burn that you can see before you start. There are also various ‘programs’ which have you work through a selection of workouts each week. Most workouts are videos, which you can cast to your TV if you prefer, but there are also audio ones for runs and walks. 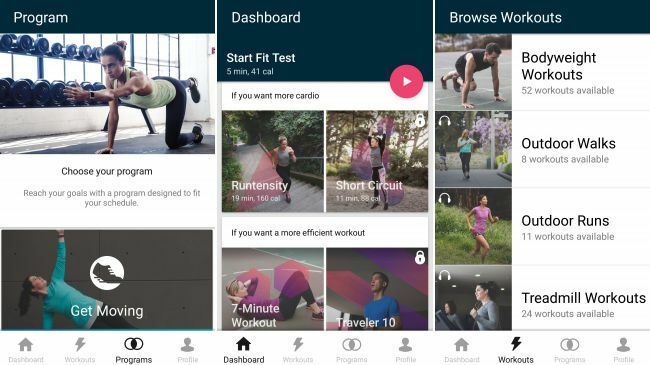 The app aims to keep the workout variety up, which – along with built-in soundtracks from Fitbit Radio – should help keep you motivated, and despite the Fitbit branding there’s no requirement to have a Fitbit in order to use it. The only problem is that most of this stuff is hidden behind a monthly subscription, but you can access a handful of workouts for free to get a taste of the app before putting any money down.